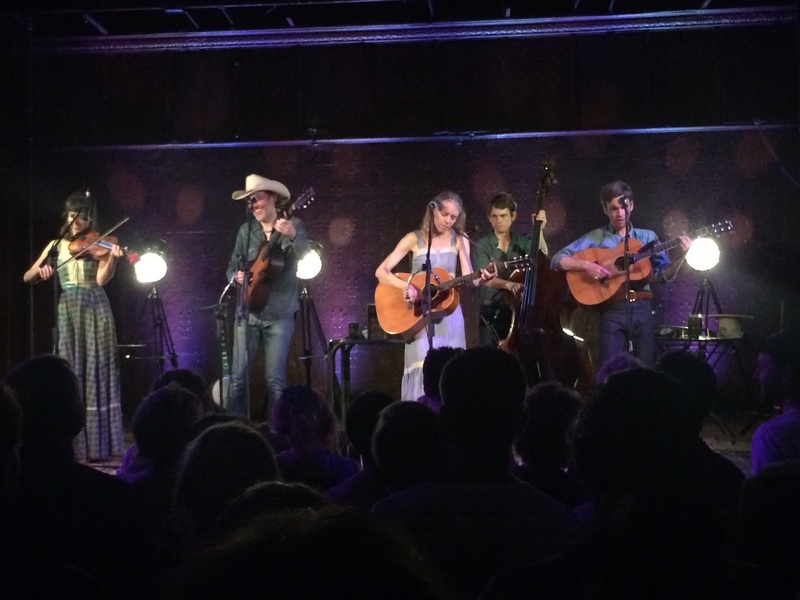 Dave Rawlings Machine, East Coast Tour @ Bangalow A & I Hall | Have we met? When Gillian Welch sings, her straight, wide mouth hides the smooth and effortless sound that escapes it. There’s no confusing whose voice that is. She smiles frequently, at us, at Dave, enjoying herself and the music they’re making. Willie Watson is a character. Short, with a scrunched up face and raised eyebrows when he sings. Sounds wonderful. Even though the two stars don’t seem to need him, he makes himself indispensable by tying them together and keeping them riding high. When left on his own, he commands the audience like he’s done it since he was five.